Recently, maybe a few weeks or months ago, Google Maps added street data for Israel. Before, they only had limited Satellite data for the country. 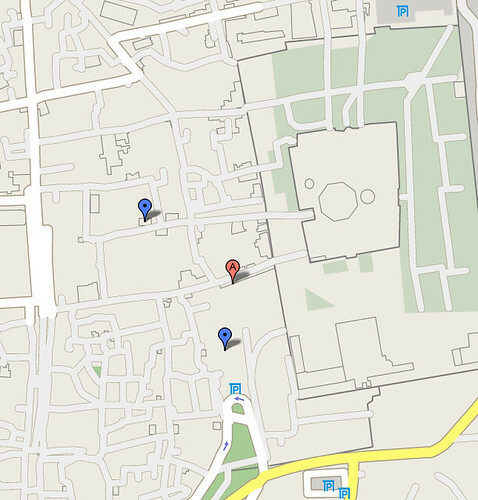 But now, you can get street outlines with very limited street names in the map product. Here is an static image of the map of the "Old City" in Jerusalem. The blue markers represent where I stayed and learned for about 4 months of my life. The green patch at the bottom was a place we played soccer. The outline with the square box and circle in the middle, is the Western Wall and Temple Mount.